The Valley Athletic Trainers Association Student Athletic Trainer Scholarship Fund was created to recognize and reward outstanding student athletic trainers in the Rio Grande Valley. The Valley Athletic Trainer Association awards up to 4 scholarships to outstanding senior student athletic trainers. The 4 scholarships include memorial scholarships to honor the memory of 2 former Rio Grande Valley Athletic Trainers, Larry Lohr and Anita Garcia. Eligible students selected by the student affairs committee will receive a one-time award of $1000.00 payable to the college or university of their choice. Anita Garcia was born on August 25, 1963 in Edinburg, Texas with an athlete’s heart. Her life long love of sports began during her elementary years when she discovered the Dallas Cowboys. Her jr. high and high school years in Edinburg found her participating and excelling in track and field and in particular cross country, a sport requiring a strict regimen of training and commitment to which she was well suited. Upon graduation in 1981, she went on to attend Austin College in Sherman, Texas. After completing her studies, she worked at Scott and White Medical Center in Temple, Texas for a time before returning home to the Rio Grande Valley. With a growing desire to be involved in sports, Anita enrolled at UTPA and earned her Kinesiology degree. After a few years spent coaching at an elementary school level, she decided to expand her involvement in athletics and to take it a step further. Anita returned to UTPA and joined the Athletic Training program and earned the credential of Certified Athletic Trainer. Her first job took her to Nikki Rowe High School where she immersed herself in her new role, a role that encompassed various sports. But here she found something even more than a career. She discovered the true heart of sports - the athletes. And in her case, the student athletes and the spirit that they embodied – sacrifice, hard work, competition and team effort. All characteristics that marked the culmination of her life and career. Due to her illness, Anita was unable to return in the Fall of 2003 to Economedes High School in Edinburg where she had served as Head Athletic Trainer since its opening. 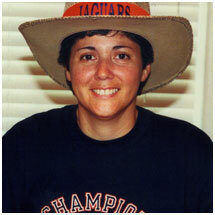 On February 5, 2004, one year after being diagnosed with cancer, Anita passed on. In her memory, the Garcia and Valdez families have contributed annually to the VATA scholarship program to honor her life and more importantly, Anita’s love of the game. It is her family’s hope that the recipient of the VATA Scholarship awarded annually in her name, will carry forth the spirit and legacy of Anita’s life. Larry Lohr, the first athletic trainer in the Rio Grande Valley, has the honor of being the father of Athletic Training in South Texas. 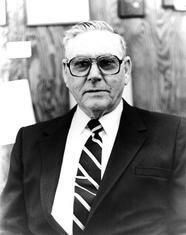 He started his career in the late 50's at Donna High School as a contract athletic trainer. His hard work and dedication to the profession inspired others in our area to follow in his footsteps. Mr. Lohr also has the distinction of being the only Valley athletic trainer to be part of a football state championship when the Donna Redskins captured the title in 1961. His career took him to Donna, McAllen, Weslaco, and La Feria high schools. Larry Lohr was inducted into the SWATA Hall of Honor for his hard work and dedication to the Athletic Training profession. 1967 - Athletic trainer for the South football squad at the Texas High School Coaches Association's game.